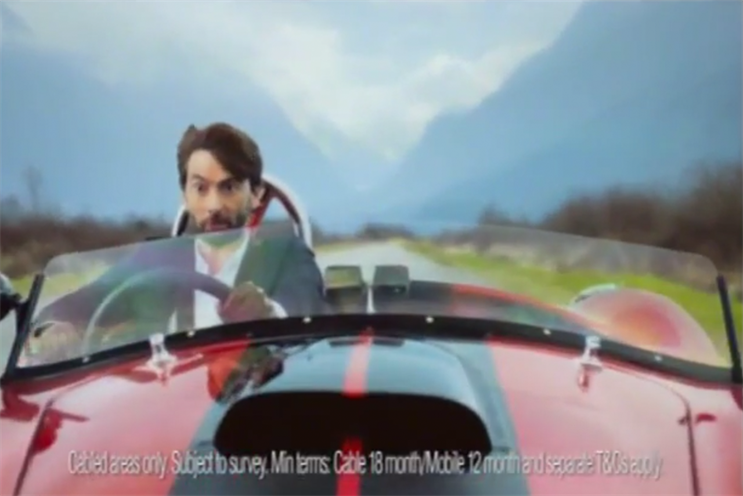 Virgin Media’s ad starring David Tennant in a morphing vehicle is this week's most-recalled ad, beating competition from Argos and Subway’s ad with England footballer Daniel Sturridge. Adwatch research was conducted from 19 to 23 June 2014 by TNS as part of its twice-weekly OnLineBus omnibus among 1000 adults aged 16-64. For details of the survey, contact Anita.Emery@tnsglobal.com (020 7656 5900). Ads were compiled by Ebiquity (020 7650 9700) and Mediaedge:cia UK (020 7803 2000).